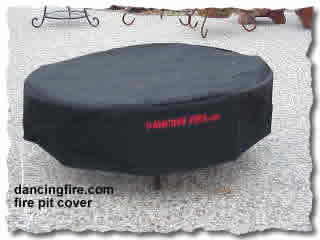 This covers will fit all the 30" diameter FIRE PITS. The over is 30" in diameter and 8" tall. The material is waterproof and its protected from the suns UV rays. Made to last many years. from the elements but they are also rather attractive. and save the left over logs without having to look at the ashes til the next time you use it.